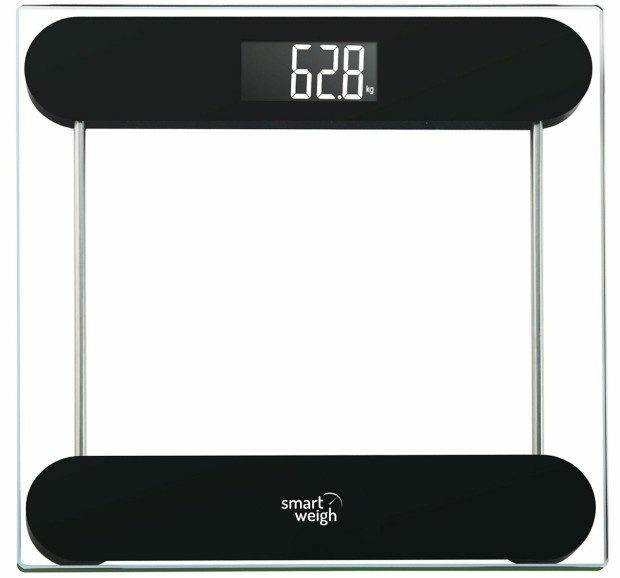 Smart Weigh Precision Digital Bathroom Scale Only $13.72! You are here: Home / Great Deals / Amazon Deals / Smart Weigh Precision Digital Bathroom Scale Only $13.72! Head to Amazon to pickup the Smart Weigh Precision Digital Bathroom Scale for Only $13.72! Lowest Amazon price at over half off; very highly reviewed! Has an extra wide 12″ x 12″ weighing platform. Crafted out of high tempered glass with black accents, the design is modern and attractive. The durable and slim glass platform make it convenient and lightweight. Has a unique step-on technology which will provide you with instant and accurate weight readings. Features a high grade backlight along with tall 1.2″ digits. Includes all the necessary unit measurements: Pounds (lb), Kilogram (kg), and Pounds to Stones (lb-st). Weight capacity: 330 lbs / 150 kg with a readability of 0.2 lb / 0.1 kg.